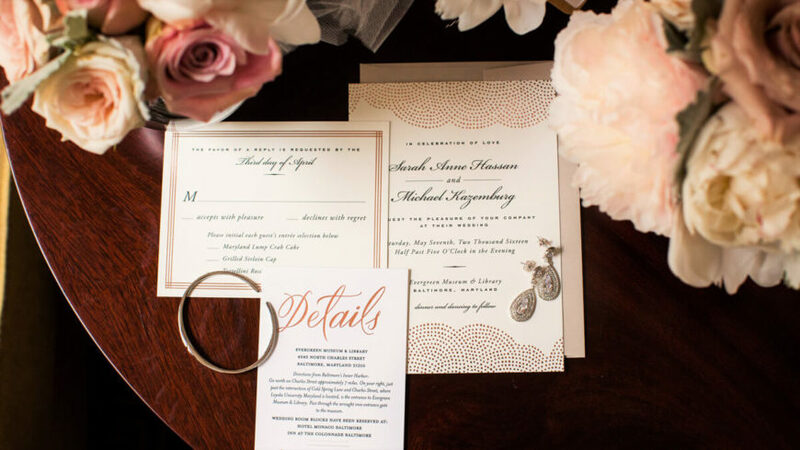 Occupations: Sarah is the owner of Sarah Kazemburg Events & Styling and Michael is a general manager. How You Met: We both went to the same high school, but since Michael was two years older than me, we never formally met or exchanged words. I knew Michael’s friend Chris (also his best man) who was my neighbor growing up and we kept in touch over the years. That summer of July 2014, Chris brought Michael out to my birthday celebration where he introduced us, however Michael and I didn’t get much of a chance to speak with so many of my friends there. Unbeknownst to me, Michael had been asking Chris to set up a time for us to hang out again. A few weeks later, we met again out with a group of friends for happy hour. Michael and I struck up a conversation and didn’t leave each other’s side the entire evening. The next day, he asked me out on our first date and we’ve been inseparable ever since. The Engagement: It was a Wednesday night, and Michael and I had dinner reservations to celebrate our anniversary. At the time, I was working for a law firm and my plans were to rush home and freshen up for our date night. Michael normally didn’t get off work until 8ish, so he was going to pick me up straight after work. 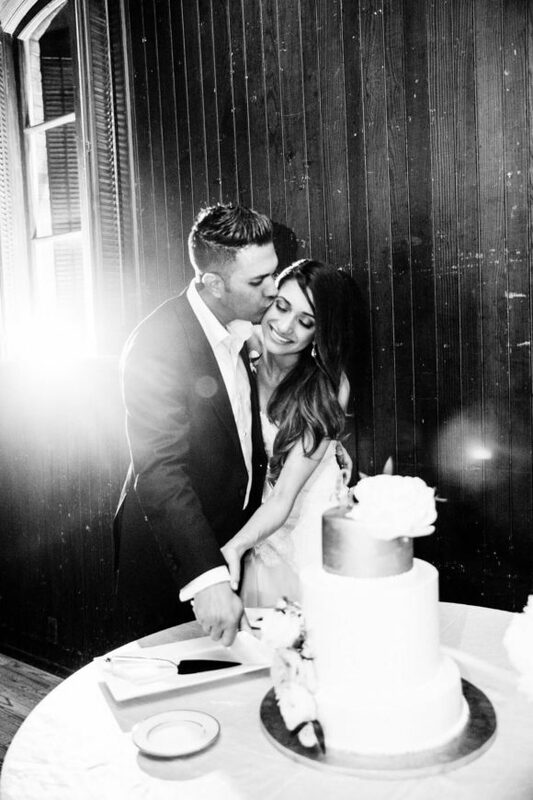 When I got home, I opened the door to find candles lit, dozens of roses, and Michael down on one knee with our favorite Maroon 5 song playing. It was an incredibly romantic and magical moment. 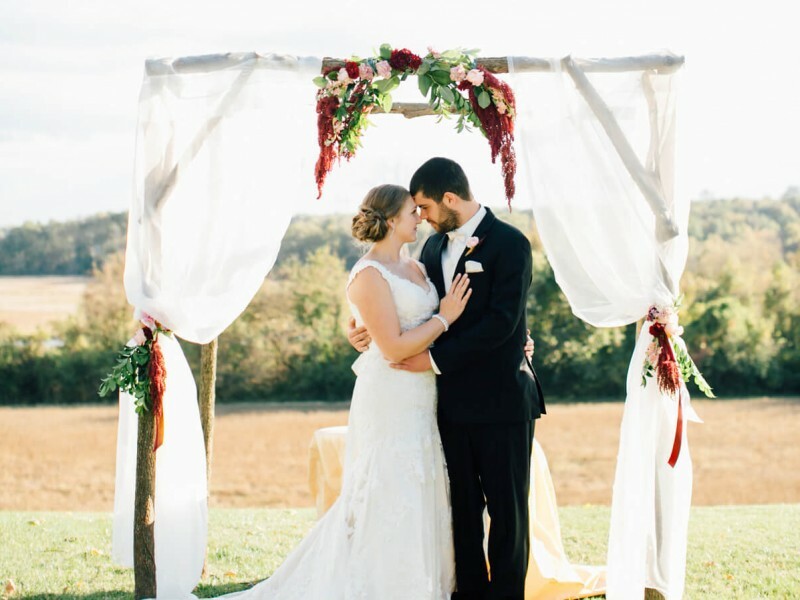 Wedding Design Inspiration: We fell in love with our venue, Evergreen Museum & Library at our first visit and knew it was the perfect location to say our vows. 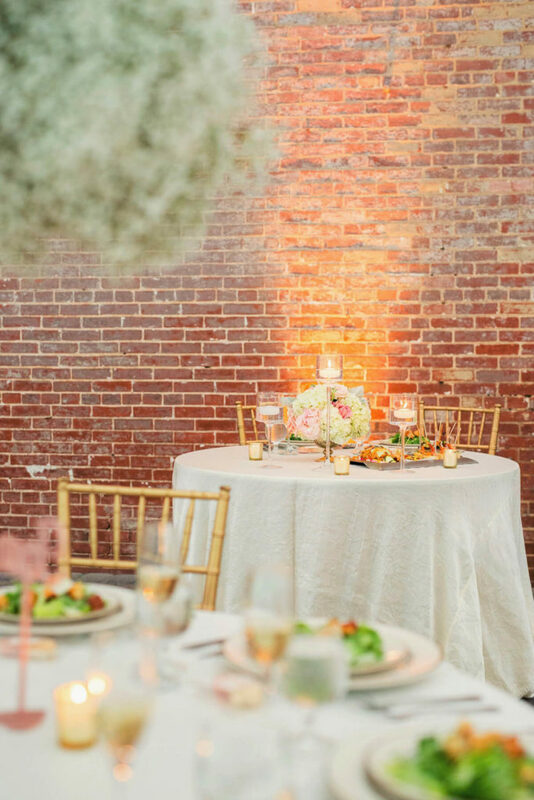 With the venue having so much charm, stunning architecture and lush gardens, I wanted to go for a very ethereal, romantic and simply elegant design. 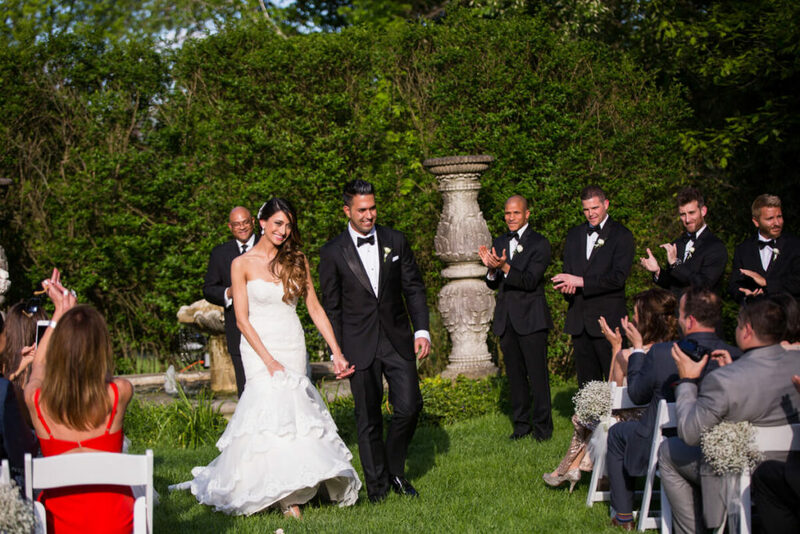 One of the best parts of getting married in the spring was having my favorite flowers in season–peonies. My bouquet was all blush and cream peonies, and we incorporated peonies into the bridesmaid’s bouquets and low centerpieces, along with quicksand and la perla roses, ranunculus, and hydrangea. 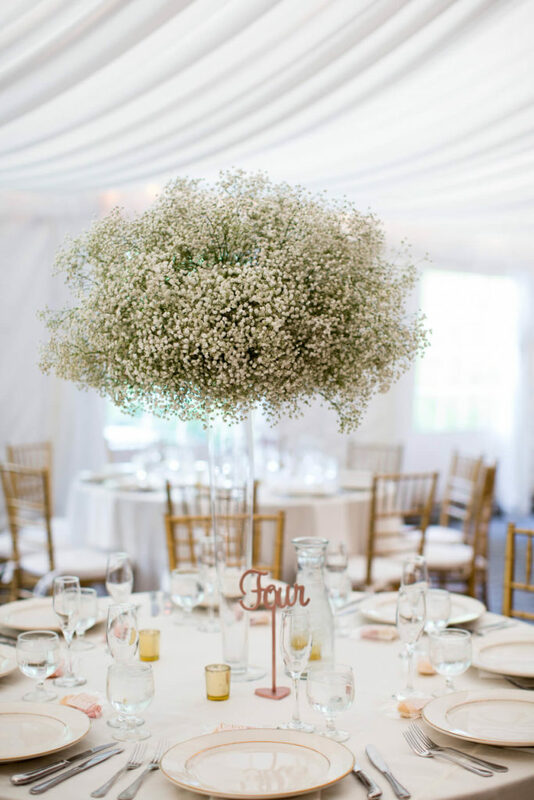 The high centerpieces were made up of oversized mounds of baby’s breath in a clear pilsner vase, which almost felt like floating clouds in the carriage house’s beautiful tent. 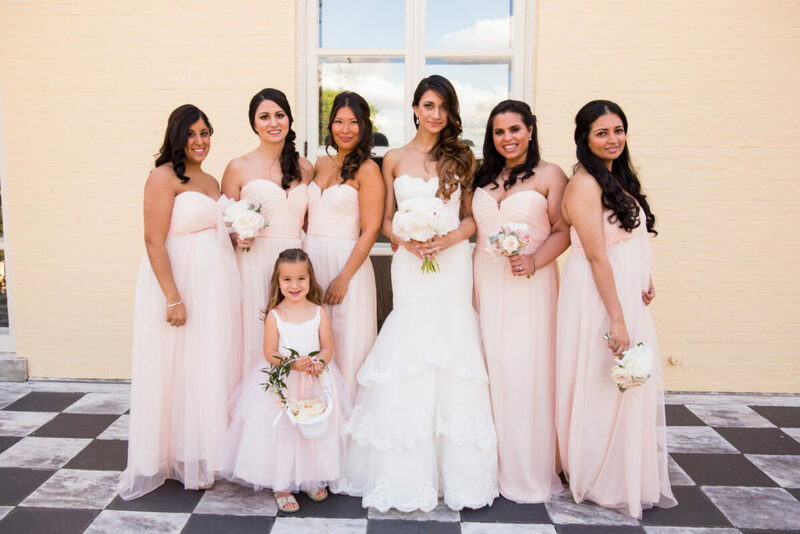 My bridesmaids wore airy silk and tulle Amsale gowns in the shade “Bellini,” the lightest shade of peachy-blush that looked amazing juxtaposed with the venue’s colors. 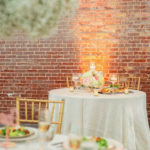 Ambiance was a really important factor, so we had lots of candlelight, uplighting to enhance the brick wall in the carriage house, as well as strung lights across the ceiling of the carriage house room for dancing. 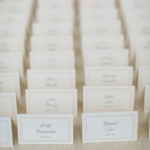 We also included touches of gold and rose gold throughout the design in our stationary, table numbers and cake design. 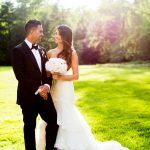 What Was Unique and Special About Your Wedding Day: In all honestly, even with all the time and effort we put into the design and details, what made our wedding stand out the most was that it was an EPIC party. 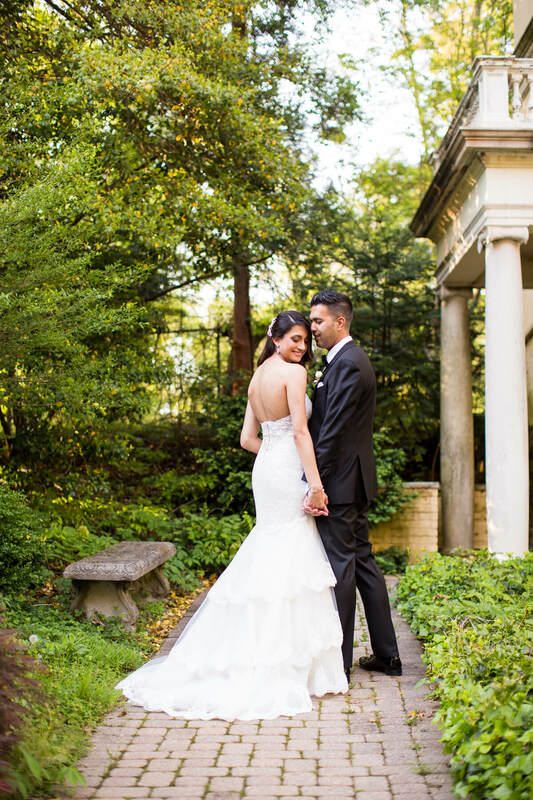 Michael and I both appreciate good music, especially 80’s and 90’s throwbacks (he is an amazing dancer, which most people didn’t know until our wedding!) 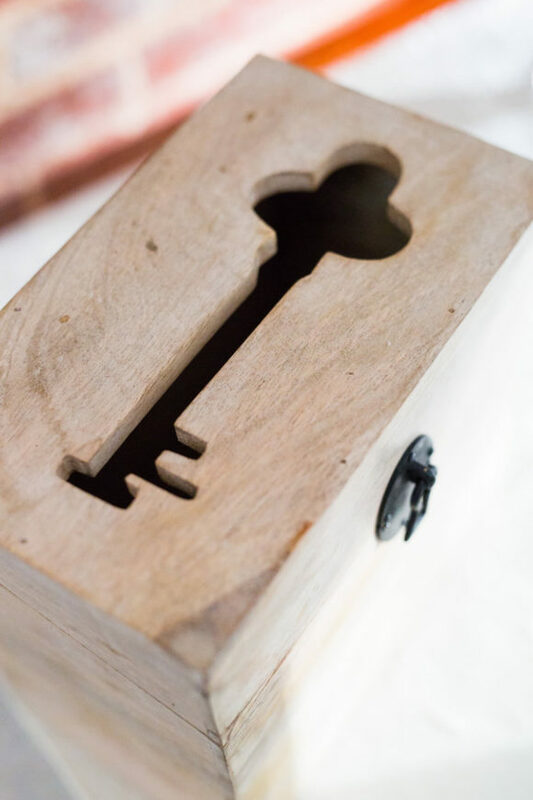 and we hand selected every song that our amazing DJ, Chris Hart, played. We avoided top 40 songs that people hear all the time, and instead had a playlist of our favorite songs that had meaning to us, from Michael Jackson, to David Bowie, to Michael’s favorite DJ Armin Van Buuren. As soon as dinner was finished, we got everyone on the dance floor by doing a tribute to our mother’s and all the moms (our wedding was the day before Mother’s Day), and it was nonstop dancing from that point through the end of the night. There was just an amazing energy and so much love in the air. We had so many guests tell us it was the most fun wedding they had been to. 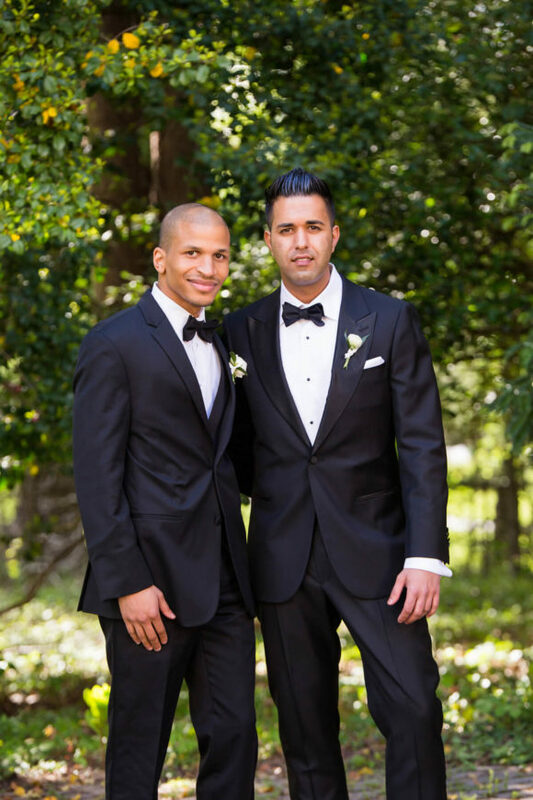 It was very special to have Chris as Michael’s best man, and one of our favorite moments was his speech where he shared how he introduced Michael and I, and gave such a sweet and thoughtful look back at how it all began. 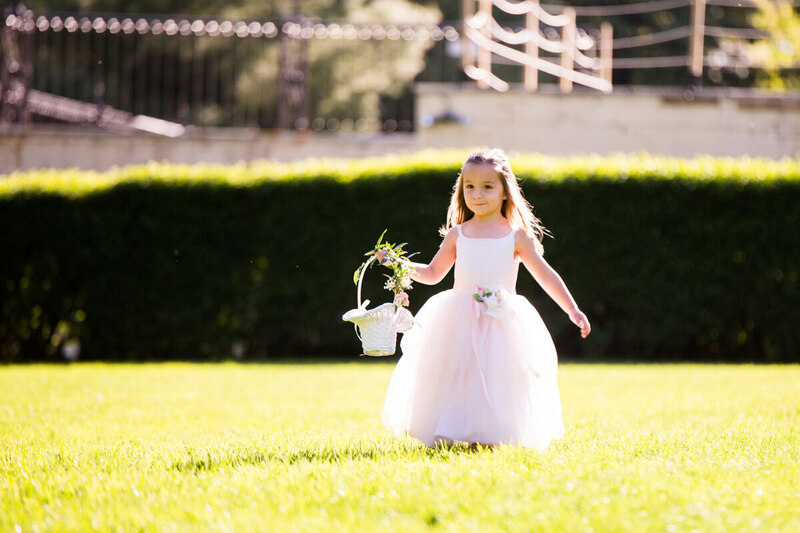 Our flower girl, my little cousin Olivia was a very special member of the wedding party, as well. 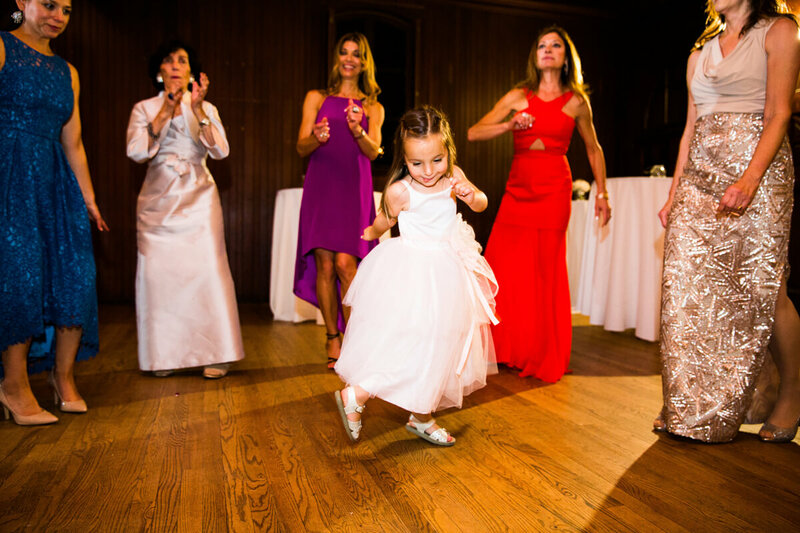 She was a natural and did a perfect job during our ceremony, and was the first person on the dance floor. It definitely made for sweet memories to look back on as she grows up. 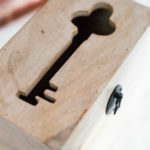 Favorite Details: That’s a tough one! 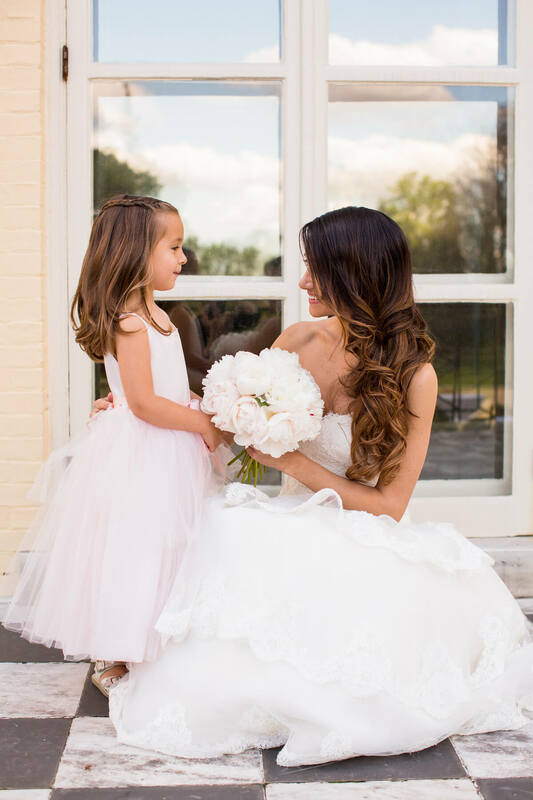 One of my favorites was my peony bouquet, because it was exactly what I envisioned for my style as a bride. Clean, simple, ethereal and romantic. 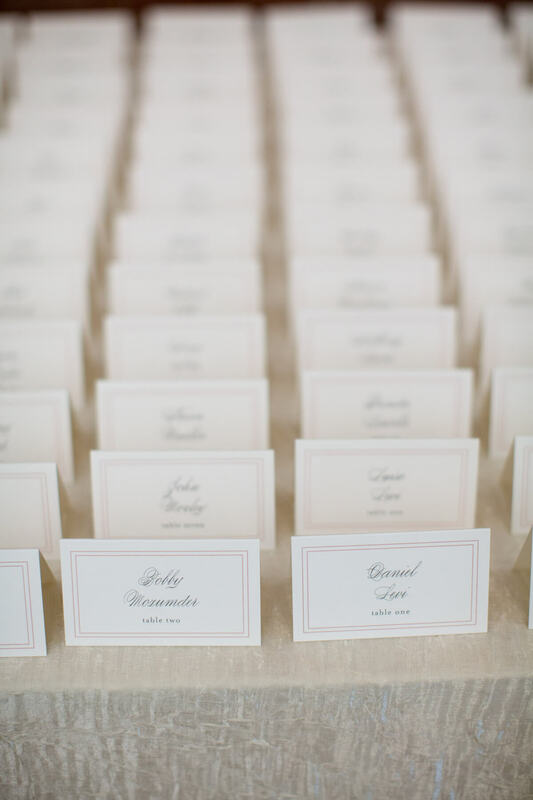 My one DIY project for the wedding was spray-painting wooden laser cut table numbers rose gold, and I loved how they turned out. Michael was born in Germany and lived there until he was 12 and his favorite memory was playing soccer growing up. 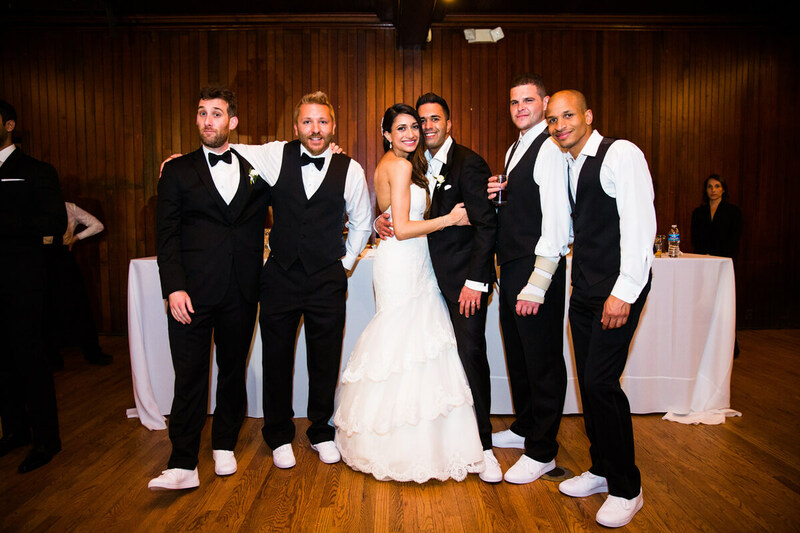 He loves to collect Adidas shoes, so he ended up gifting each of his groomsmen white Adidas to change into after the ceremony. 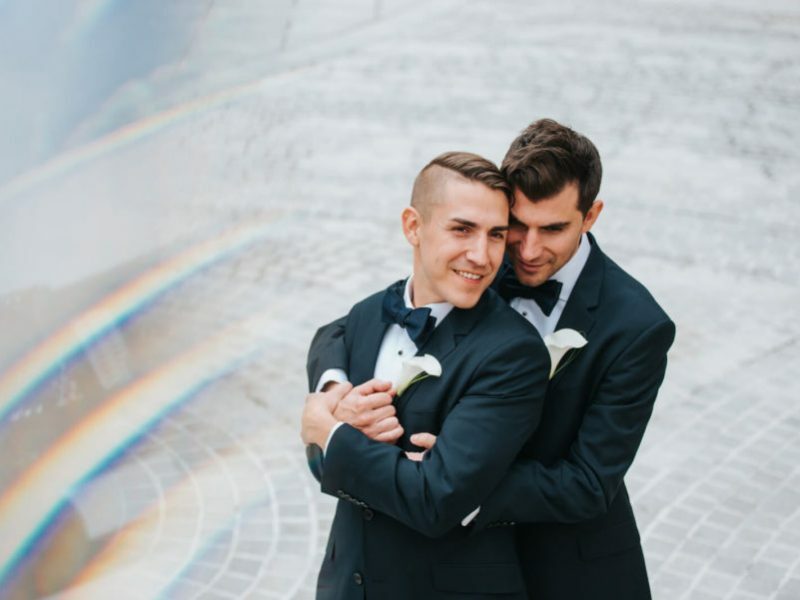 They looked awesome with their tuxes and were perfect for dancing all night. 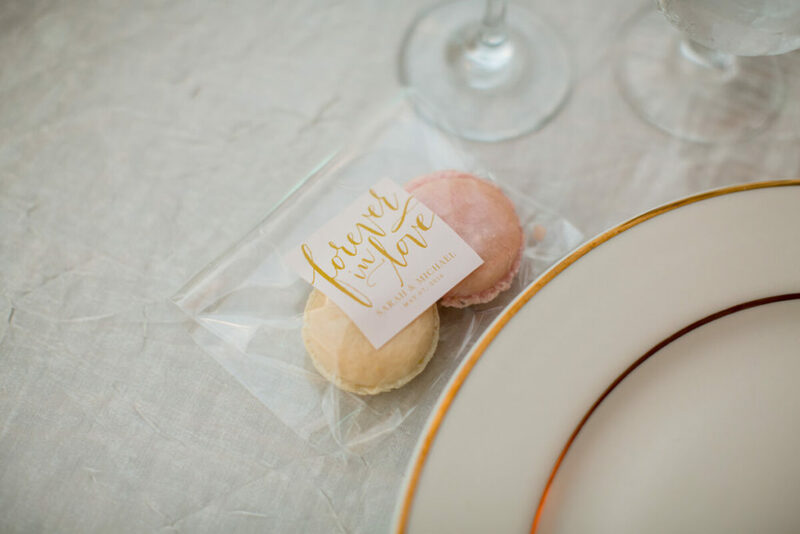 We both definitely have a sweet tooth, so we decided to go with edible favors and gave each guest a gift bag with a vanilla and strawberry macaron placed at their setting. Our cake by Sugarbakers was amazing, as well. 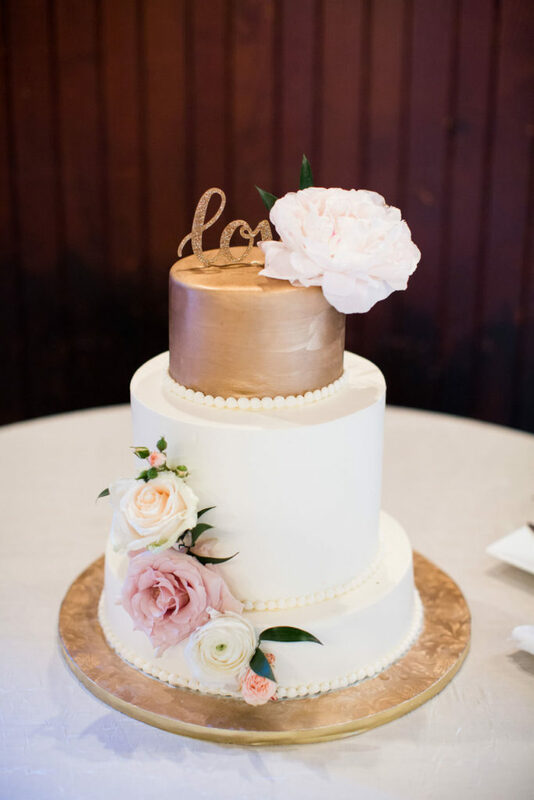 We had different sized tiers that included each of our favorite flavors: dulce de leche and coconut cake, topped with a sparkly “love” cake topper and a huge peony, of course. Piece of Advice: During wedding planning, it’s easy to get overwhelmed with all of the details and decisions and lose sight of what the day is really about–you and your partner. 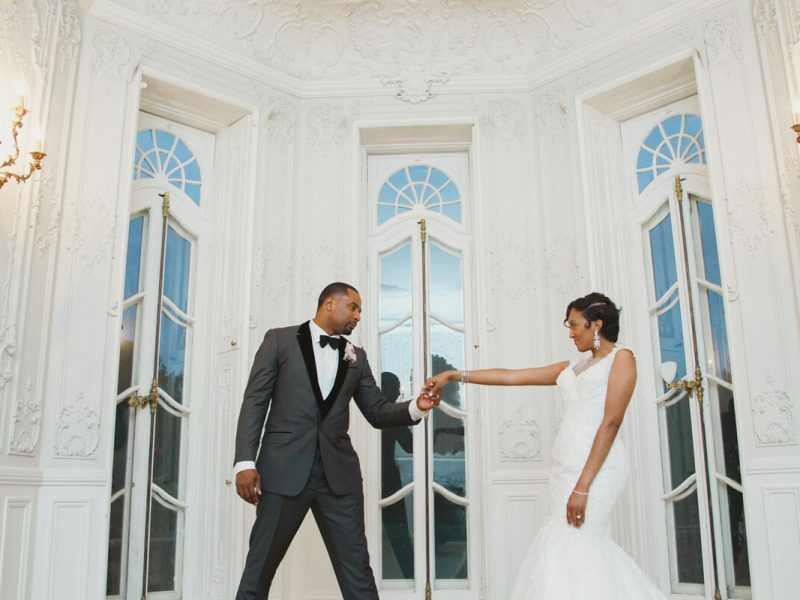 Make time for each other whether it’s a date night, hiking, or your favorite activity – anything that doesn’t have anything to do with wedding planning. 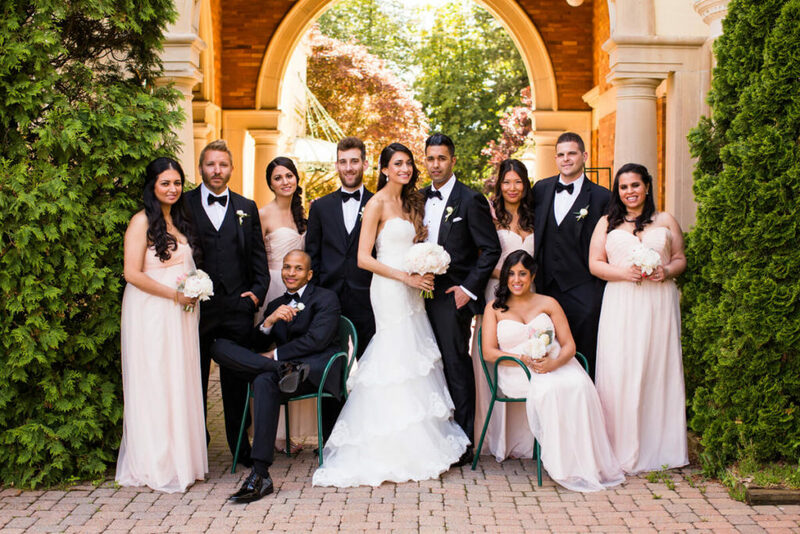 This is also such a great reason to hire a wedding planner or coordinator. 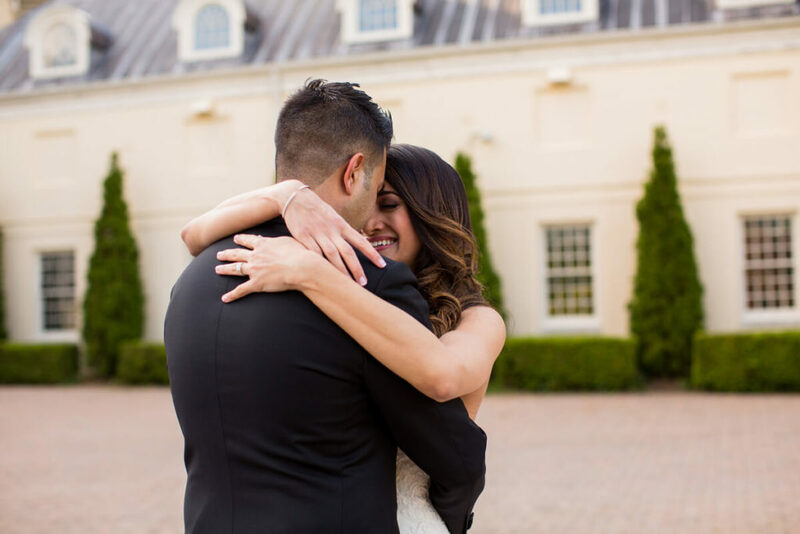 Since launching my business, it’s so rewarding to have my brides tell me how at ease they felt leading up to the wedding and fully present on the day of. It’s so worth it just to have that piece of mind. Secondly, stay true to yourself during the planning process. At the end of the day, you can’t always please everyone and it’s okay to gracefully say no when necessary.